The State Hermitage Museum, located along the banks of the River Neva in St. Petersburg, Russia is considered one of the largest and oldest museums in the world. 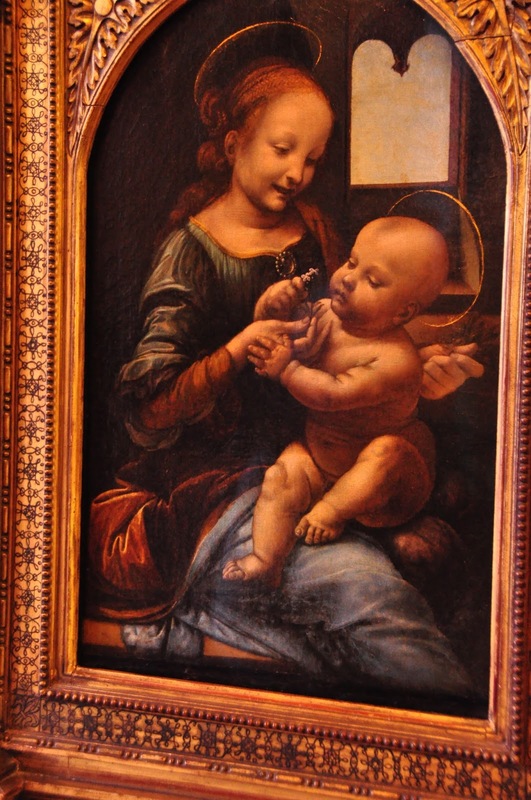 It offers a wide array of artwork including some by Italian artists Leonardo Da Vinci, Raphael, Titian and Tintoretto. 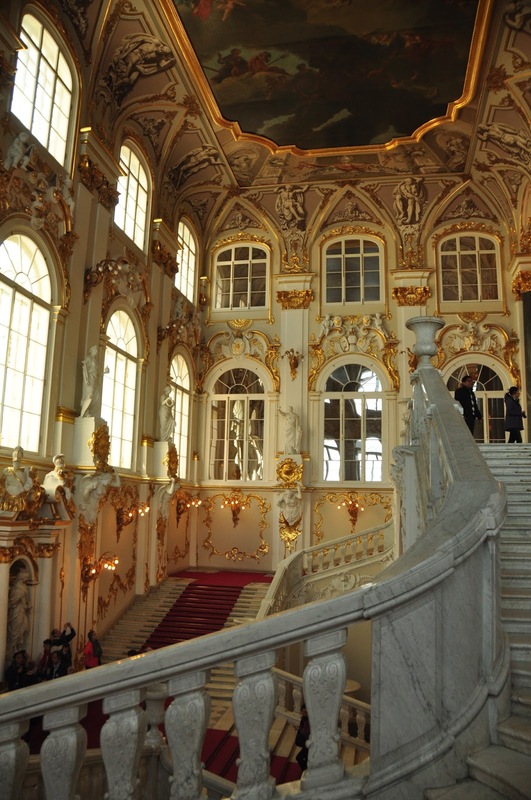 The Winter Palace, which was the home of the Russian emperors from 1763 to 1917, was the first of the structures that now make up the museum. 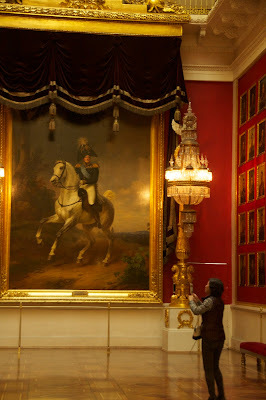 The second structure, the Small Hermitage, was added to house the expanding collection of artworks gathered by Catherine II. 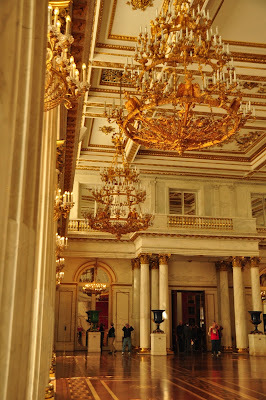 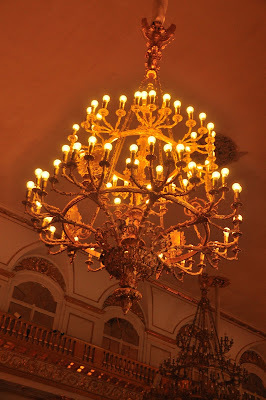 The book reports that the interiors of the Winter Palace, with rare exception, have not retained their original appearance because in 1837 the facility fell victim to a fire. 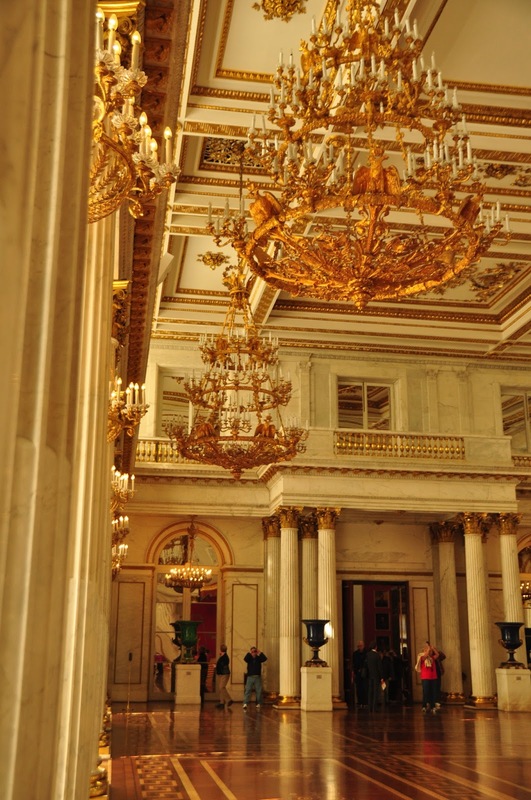 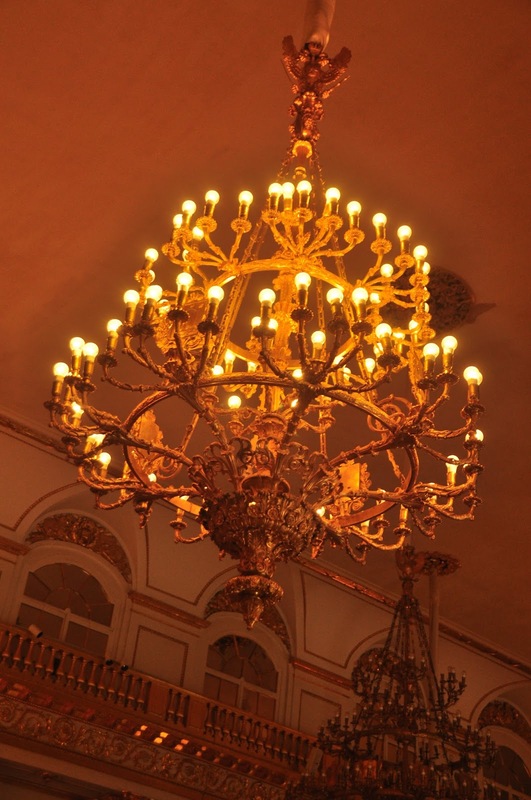 The book reports that the Palace’s Main Staircase still looks the way it did when it was installed in the 18th Century. Visitors are able to view a wide array of Italian artwork along with a collection of Dutch and Flemish work that is considered amongst the greatest in the world, including works of Rembrandt. Others whose artwork is in the museum include works by Monet, Picasso, Pissarro, Renoir, Cezanne van Gogh and Gauguin, among others.